Motorola’s APX™7000 P25 Multi-Band portable radios deliver exceptional performance by combining advanced voice and data technology driven by the challenges of mission critical users. APX portable radios provide interoperability on demand, as well as enhanced voice and data capabilities, in a revolutionary form factor optimized for use in high stress situations. The APX™7000 exemplifies Motorola’s commitment to meet the voice and data demands of today’s federal personnel in mission critical environments – to enable anywhere, anyplace, anytime connectivity. We take the safety of first responders personally, which is why we designed the APX™7000XE – the most advanced, ultra-rugged radio with innovative features designed by first responders for first responders working in extreme environments. Together we have created an ergonomically-superior radio that is easy to operate, with glove-friendly controls and a large top display. Significantly louder and clearer so that every word is heard when you’re battling noise in almost any environment. A mission critical multiband, multi-protocol radio so seamless, you can be confident your communications are truly interoperable. Focus on the task, not the technology, with the high-performing portable that stands up and stands out in the toughest conditions. The APX™7500, 2 band radio puts instant interoperability into the hands of mission critical first responders. The APX7500 offers a complete control head portfolio with 3 options to give users the flexibility to choose the control head that best meets organizational needs. Designed with mission critical technology, the radio amplifies public safety officials’ ability to keep the community safer than ever before. Focus on the task not the technology, with the real-world ready radio that turns mission critical into mission complete. In the heat of a wildfire or the smoke of a structure fire, you can’t afford to struggle with controls or strain to hear commands. You need a radio so reliable and responder-focused, it’s second nature to use. Working with first responders around the world, we developed APX™ radios to be safer and tougher than others – and to deliver innovative technology in an ultra-rugged, glove-friendly form. Our APX™6000XE is the “lightweight heavyweight” – a small, single band radio with extreme ergonomics and excellent audio that takes on the tough tasks of fire service and EMS. It’s the two-way radio that can strengthen safety precisely because it is engineered for extreme conditions. Delivering outstanding performance in a compact form factor without sacrificing the features you need most. The APX™6000 is the next generation of ruggedly-reliable performers that gives you the advanced features such as Mission Critical Wireless and GPS location tracking in the smallest, P25 Phase 2 capable radio available. Whether you’re on patrol or racing to a fire, the APX6000 puts you in greater control of your safety, response time and technology investment. The APX 4500 P25 is designed to get the job done without getting in the way. A simpliﬁed dash mount design makes installation quick and easy, ﬁtting into the existing XTL™ footprint so you can reuse mounting holes and cables. interrupting voice communications while they work. Loaded with key P25 features to increase safety, the APX 4000 features Mission Critical Wireless, a unique Bluetooth® solution that provides an encrypted link to a high performance earpiece, GPS for quickly locating personnel outdoors, AES encryption for improved security, and over-the-air programming to program radios in the field without interrupting voice operation. 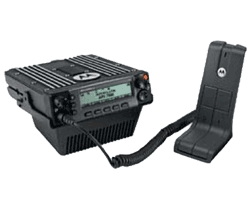 Designed for reliable, integrated communications, the Motorola MCC 5500 Console provides comprehensive dispatch capabilities for conventional radio systems. With integrated paging and telephony, your dispatchers can efficiently contact and manage all of the resources across your operations. 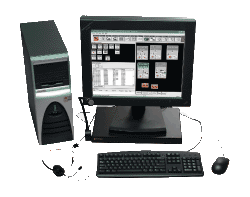 A flexible and easy- to-learn Graphical User Interface (GUI) gives you the ability to customize the needed look and feel specific to your operation, as well as to the unique needs of individual dispatchers.